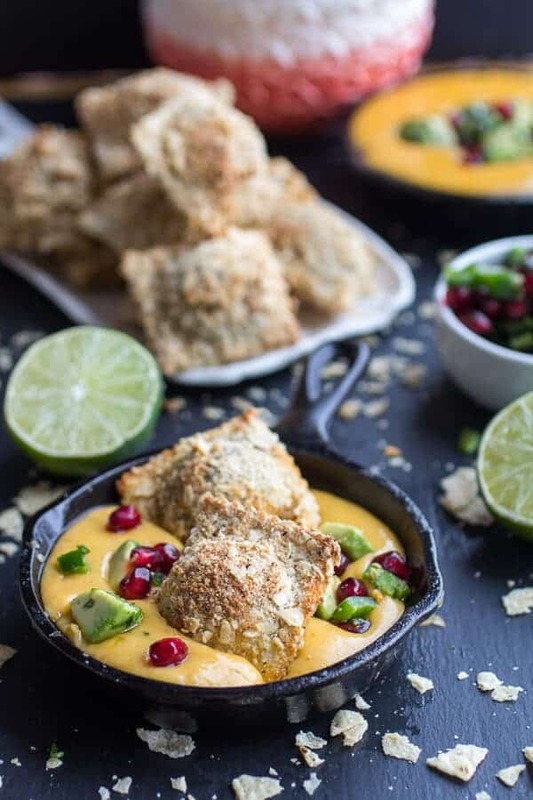 Tortilla Chip Crusted Oven-Fried Ravioli with Spicy Fontina Queso Fundido. It is official, I COULD do Mexican food all the time… but for now I will limit it to just this week. Oh, and the title? Do not run off screaming thinking you have to make your own ravioli. Seriously, please do not do this. I promise, if you do not want to, you do not have to make the ravioli yourself. I will be the first person to admit that homemade ravioli is not the easiest, or the most fun thing to make, but I will say that you will never, ever, beat homemade ravioli. But, I know people are busy and no matter how much they may want to make their own ravioli, they just do not have the time, so I gave you the option. 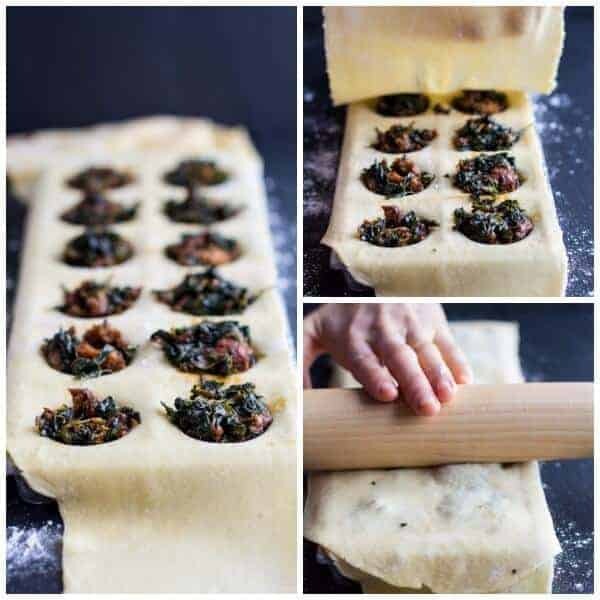 Make you own spinach chorizo ravioli, one of the most unique and most delicious ravioli I have made yet, or just take the short cut and buy some at the store. Trust me, I get it. Life it just to freaking busy. Anyway, I decided that since I do write a food blog I would just make my own, and you know what? I think I am getting better! Seriously, this time around making the ravioli was a breeze. I am thinking I just got lucky, but whatever I will take it. And the ravioli? So good. So, so, so good. It’s chorizo in pasta, but then it actually gets better because I went and threw some tortilla chips in the food processor with some cojita cheese and then breaded the ravioli like you would chicken. Ah huh. I did. It is like fried ravioli, but without all the hot oil that spatters all over. But probably the best part of this appetizer/snack or ok… (honestly) our dinner? Kind of perfect for New Years Eve, right? Which by the way is tomorrow, which by the way means that 2013 is over and another year has come to an end before my eyes. In my eyes, this is the only way to ring in the New Year. Tons of Mexican food + family + hours of eating said Mexican food… Fiesta! Sounds pretty good doesn’t it? Oh, and if you are buying ravioli at the store I recommend getting a non-cheese ravioli. I think lobster or crab would be SO good with the queso! Preheat oven to 450 degrees F. Line a baking sheet with parchment paper or a silpat. Add the buttermilk to a medium size bowl. In a larger shallow bowl (or a pie plate) mix together the flour, crushed tortilla chips, finely crumbled cajita, chili powder salt and pepper. Bring a large pot of water to a boil and cook ravioli for half of the recommended time. I let mine boil for 2-3 minutes. Drain, quickly spread out on a plate so they will not stick together. Once cool to the touch, dip each ravioli in the buttermilk then coat thoroughly with the crushed tortilla chip mixture, pressing to adhere. Place on the prepared baking sheet and repeat until finished. Spray each with a little nonstick spray. Bake for 15-20 minutes, or until crispy and golden. After about 18 minutes of cooking I turned my broiler on for 30 seconds to get a nice golden color, but WATCH them closely! While the raviolis bake make the queso. In a medium bowl toss together the pomegranate arils (or tomatoes), diced jalapeño, cilantro, lime juice, salt and pepper. Add the diced avocado and gently toss. Set aside. Add the oil to a medium skillet over medium heat. Add the onion and cook until the onion is soft and translucent, about 5-10 minutes. Add the beer and simmer, stirring occasionally and scraping up any browned bits. 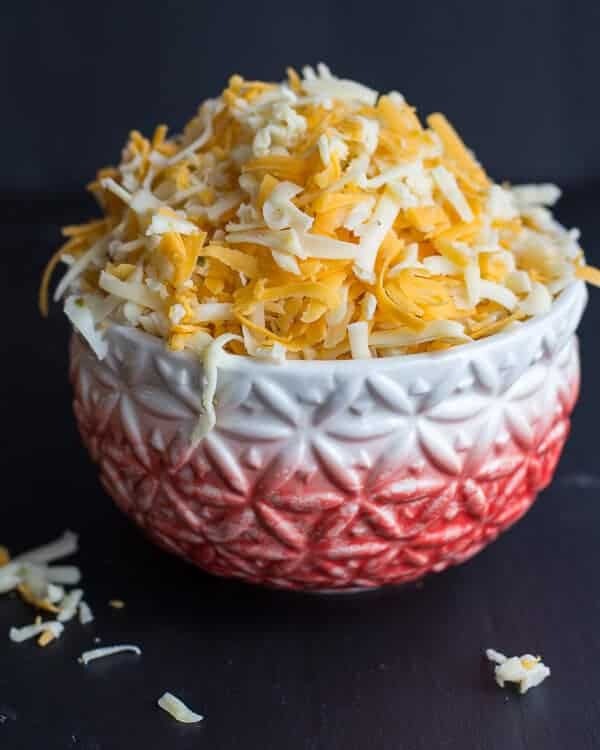 In a bowl, toss the cheese with the flour. Add the cheese mixture to the beer with the remaining ingredients. Stir until all the cheese has melted and the texture is smooth, about 5 minutes. Using a slotted spoon, spoon salsa over queso. 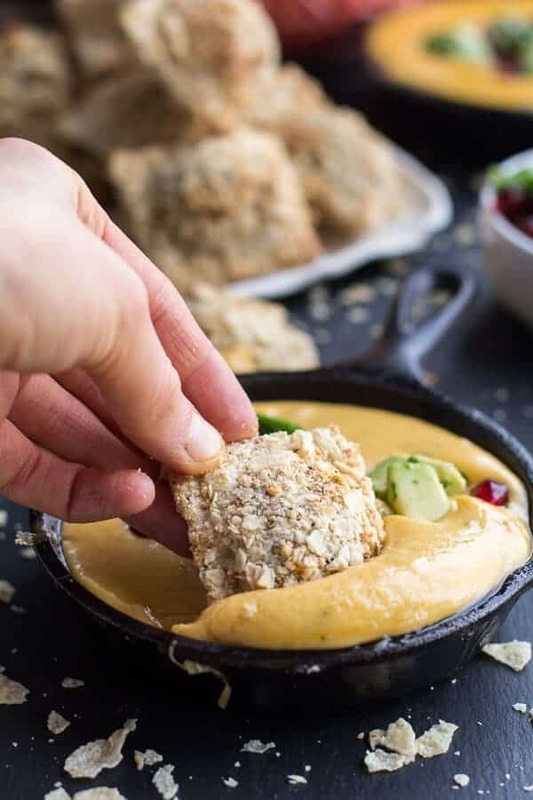 Serve in skillet with a basket of tortilla chips on the side. *If you are using frozen ravioli I recommend going with a non cheese ravioli since you will be dipping the raviolis in cheese. I think any lobster or crab ravioli would be really good or just a basic meat or chicken ravioli. * DO AHEAD The raviolis can be completely prepped in advance and then baked right before serving. The queso can be made 30 minutes ahead. Let stand at room temperature.To reheat, warm skillet with queso fundido over medium heat; stir until melted and bubbly. Prepare the pasta dough, cover and set aside. Heat a large skillet over medium heat. Add the chorizo and cook, breaking up the chorizo with a wooden spoon, until it begins to come apart, about 1 minute. Add the garlic, jalapeño, tomato paste and chili powder, continue cooking until chorizo is cooked through, about 5 minutes. Stir in the spinach and cook another 3 to 5 minutes, just to make sure all the water gets cooked out. Remove from the heat and allow to cool before filling the ravioli. Roll your pasta dough into lasagna sheets. I like to roll my pasta to the 5th setting, but all pasta machines vary. Heavily flour your ravioli mold or counter. Seriously, do not be afraid of the flour. Flour is your friend and without it your raviolis with stick to the mold (or your counter)! Lay one sheet of pasta on the mold, making sure the entire mold is covered. Now, if you have one, grab an egg and fit it into each well. This helps form a space for the filling to go. Take a tablespoon of filling and place into each well. 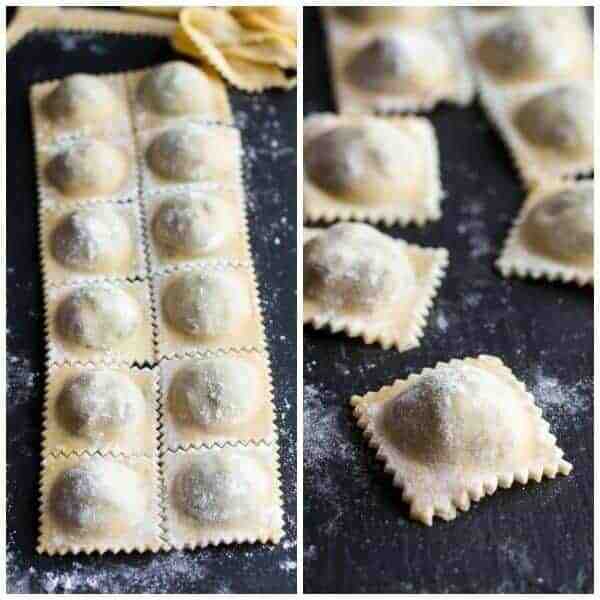 Spritz the pasta sheet with a little water or use your fingers and dab some water along all of the ravioli edges. Lay the second sheet on top and run a rolling pin over to seal. Turn the mold over to release the ravioli. They will not be separated. Use a pizza cutter or sharp knife to cut them fully apart. Lay the ravioli on a parchment lined baking sheet and continue making ravioli until you've used all the chorizo filling. Make sure to cover the ravioli with a damp towel as you work. At this point you can boil the ravioli or freeze for later. And on to a Feliz Ano Nuevo! 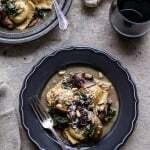 Taleggio Ravioli with Garlicy Butter Kale and Mushroom Sauce + Toasted Pine Nuts. 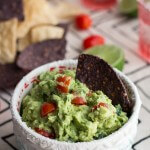 Ridiculously Easy Classic Fiesta Guacamole. 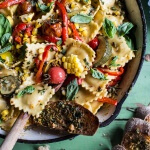 Garden Veggie and Ravioli Skillet with Pistachio Herb Butter. Pinned. WOW where do i even begin. 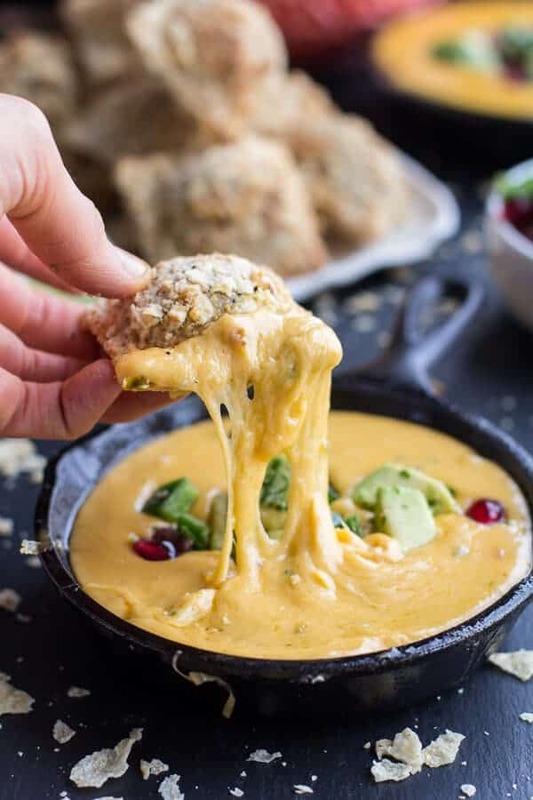 The gooey factor, the fact you made your own rav, the melty cheese/hands shot, the pom arils that compliment that bowl (omg love that bowl!) So much goodness Tieghan! Oh LORDY. That cheese. It’s a good job I’m not quite in healthy January mode yet. Thanks Becca! Happy New year! Wait a minute…Did you say you think you’re just “getting better” at making ravioli??? You’re ravioli look great!!! They can be so tricky and especially difficult to size and cut so well. Great job. This recipe helps ease all of us Mediterranean-style home cooks to try to branch out into other fabulous culinary worlds 🙂 Thanks!! Thank you! You are so sweet! Happy New Year! Oh my gosh Tieghan, those are the prettiest little squares ‘o dough that I have ever seen in my life! These pictures make my eyes happy. That ooey, gooey cheese, crunchy chip topping…oooey gooey cheese! I am dying. I have always wanted to make ravioli, and this is inspiring! Pinned! Wow! Thank you, Taylor!! Hope you get to make some homemade ravioli soon! Do you mean COTIJA cheese, never heard of cajita? Yes, yes, yes! So sorry, Sarah! Thanks for correcting me! Hope you love this! I love making my own ravioli and the only thing intimidating to me is repeating the title. What a magnificent dish! Thank you, Maureen! Happy New Year! Mexican is my favorite, so this is a win in my book! If this is what Mexican food is, then I will eat it everyday too! Hah! Thanks Steph! Happy 2014! Oven-fried ravioli sounds like something I need to eat yesterday in abundance. 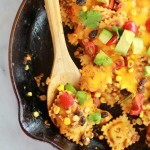 Your Mexican food is insanely pizzazz-ful! If your week leading up to New Year is this delicious, I can only imagine what NYE in your house must be like! 🙂 Delicious! Haha! We actually just did guacamole, leftover taco and homemade pizzas! LOL! Still good though! Yes to Mexican ALL – THE – TIIIIIIIME!!! This sounds fantastic, girl! Happy NY 2014! Thank you, Sandy! Happy 2014! Wow!! I’m so happy you’re doing this whole Mexican week thing–only my favorite food ever. That’s it, I’m coming to your house for NYE. Will you be serving this??? Oh my gosh this is awesome. Everything about this. !!! Thanks so much for pinning, Abbie! Thank you so much, Julie! Happy 2014! 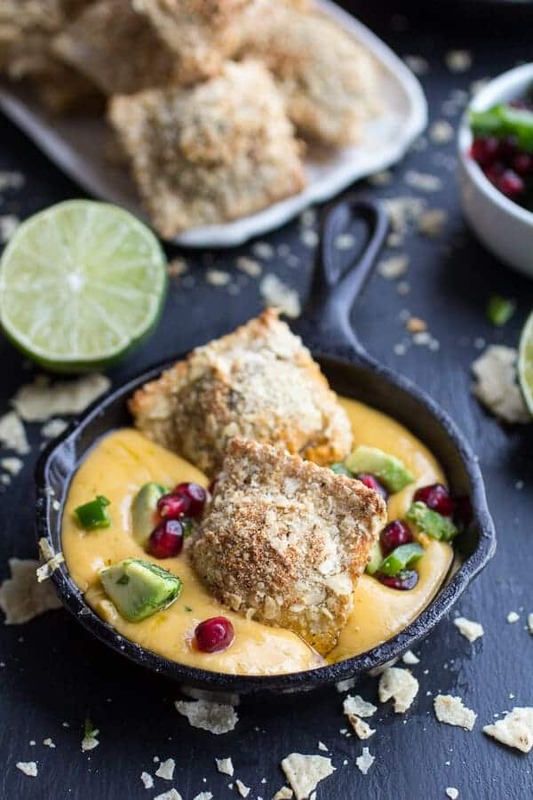 Amazing – per usual 🙂 This recipe would be great for my New Years dinner. Pinned! Yum! 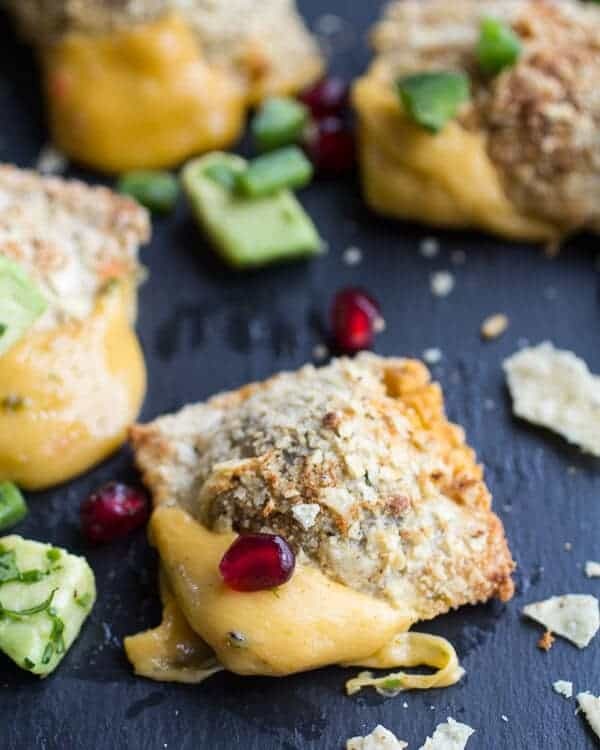 Chorizo stuffed ravioli: ingenious! 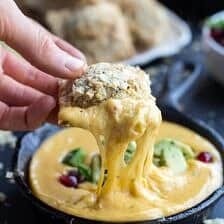 The cheese sauce looks super tasty and rich! How creative! Everything so homemade and beautifully photographed! Thank you so much, Kira! Happy New Year! In a word – YES! holy ravioli this looks amazing! =) yum!!!! 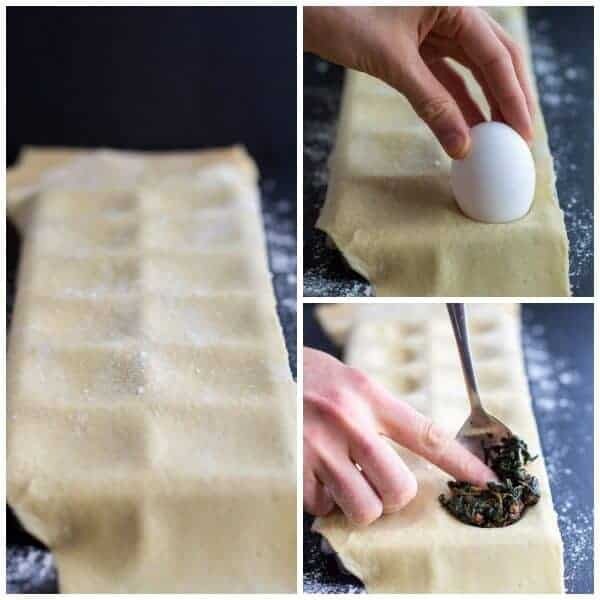 I have never used a ravioli mold (just cookie cutters for a cut and paste version) so I’m bowled over by that cute egg trick to make a nice little well. I have to try that for myself! Those look amazing, what a terrific idea! Totally bookmarking this. I’ll take 97 of these beautiful and tasty ravioli, pa-lease?! I love of Mexican food! Tieghan,this looks amazing! I want to eat this now! Best wishes in 2014! Thank you so much, Paula!! Happy New Year! Such a fun recipe! Your ravioli are perfect and I love the tortilla chip coating! Thank you so much, Laura!! The tortilla chips were a great coating! Thank you so much, chelsea!! That ravioli looks amazing. And then that queso fundido, oh my! Want!! Happy New Year, Tieghan!! Thanks so much, Brenda! Happy 2014! I haven’t made homemade ravioli in ages, love the Mexican twist! Happy New Year! I love how you always take things up to another level! Honestly, the ravioli would have been plenty awesome, but then you added the crunchy toasty and the queso! I love it! PS- I’m all about pomegranate arils in my Mexican now. So. Good. Thanks so much, Allie! Happy New Year! What an impressive recipe! Homemade ravioli would be enough, but then oven frying it and making that amazing queso just takes this to another level! I love the ice cube tray trick for making ravioli – such a good idea! Thanks so much, Cate! That is actually a ravioli mold. I am not sure an ice cub tray would work, but it may be a good idea!! Love your twist on fried ravioli, such great flavors! I would want Mexican food every single day if it looked like this! Amazing!! Thank you! Mexican food everyday would be an awesome thing. Lately that is happening around here! This makes me want to get a ravioli mold. These look so good! Dude, this looks amazeballs! GIMME! Is the ravioli mold an icecube tray? I realize this is an old post, but I wanted to comment because I know how helpful it can be when looking for recipes. I made this last week and it was amazing. I had to hand cut the ravioli because I simply couldn’t wait for Amazon to ship me a ravioli press, so they weren’t as pretty, but the filling and the crust and the cheese dip were perfection. The pomegranate seeds suggest were the perfect accompaniment. The recipe looks overwhelming, but really, it was easy to follow and as other recipes on this blog, it has helped me learn more about how to layer flavors. This recipe is a great family recipe and worked well for children under 9 years old. I had a bit of filling leftover and tossed it with fresh pasta for lunch the next day. Delicious. WOW thank you so much for leaving a comment Jen! Sounds like a blast home making these! I hope you comment inspires others cause this is one of my favorites!! Thanks so so much! OMG this looks amazing! I love ravioli and I really need to start learning how to make them from scratch. Thank you Jenny! I hope you love this recipe! This looks amazing! Do you think you can prepare the ravioli (coat it with the buttermilk & tortillas) and store it in the fridge for a few hours before baking it? Or does it need to go right into the oven?